Cold snow, warm sunshine and sweet couple = MAGIC. 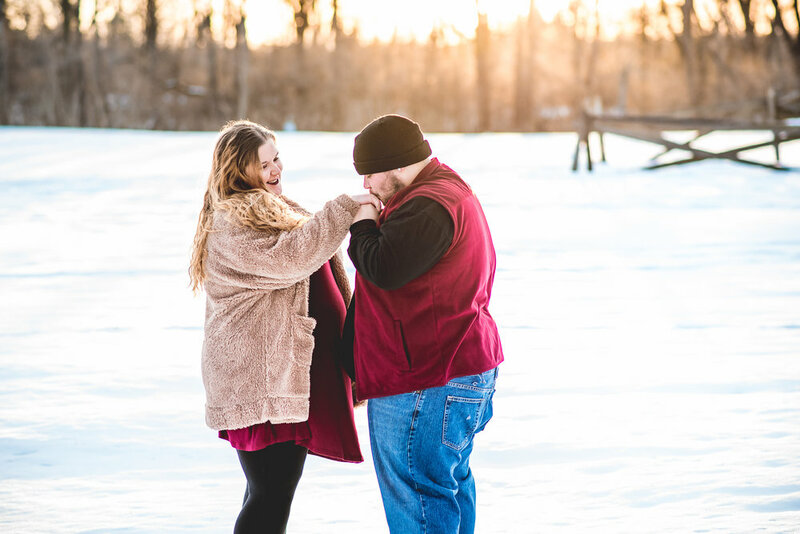 I loved every chilly and wonderful second of this gorgeous winter sunrise engagement session at George Rogers Clark Park in Springfield, Ohio. It was a great day celebrating a gorgeous couple at Simon Kenton Inn on Saturday. A day full of love, family and more love! Congrats Maddie + Brenden!! Here is a little sneak peek! It was a beautiful backyard wedding full of light, love, community and family. Such a perfect day to celebrate a newly formed family. These people just stole my heart and welcomed me in. Congratulations Matt and Laura! !